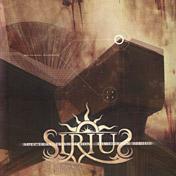 Sirius (1): Portuguese black metal band 1998-2002. (2) German thrash metal band 2005-. (1) The black metal band Sirius was formed in 1998 and eventually attracted the interest of Samoth (ex-Emperor, who signed the band to his Nocturnal Art Productions label. Classic symphonic black metal is the order of the day here, in the spirit of Emperor or labelmates Limbonic Art (members of both bands guested on Spectral Transition), with the band showing the right amount of aggression as well as diversity in the songwriting. At one point the band was reported to have moved to Norway and changed membership, but apparently the band is now disbanded. Daniel Cardoso (drums, keyboards, guitars) has teamed up with Norwegian Kristoffer G. Rygg (of Ulver) to form Head Control System. 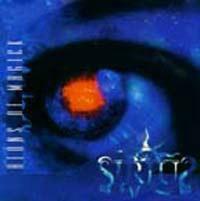 (2) The german melodic thrash metal band Sirius was formed in early 2006 under the former name "Wagner" with the intent to fuse melody and harshness into a symbiotic mix and let loose this blend of melodic death and thrash metal on the public. The mostly concerted riffs paired with fast headbang-parts are pushed by drums, heavy on the doublebass. A solid base of bass guitar and a thick wall of subcutaneously aggressive sound emphasize the overall sound. Sirius are Jan, Sebastian, Andreas, Stefan of Lunarsphere and Andi of Intus. The band emerged from the osnametal-board at the beginning of 2006. Right from the start they worked on their own, unique songs and at the end of 2006 there was enough material to perform their first live-gigs. As feedback from attendants was more than positive, some more gigs all over northern Germany were played and new events are always scheduled.